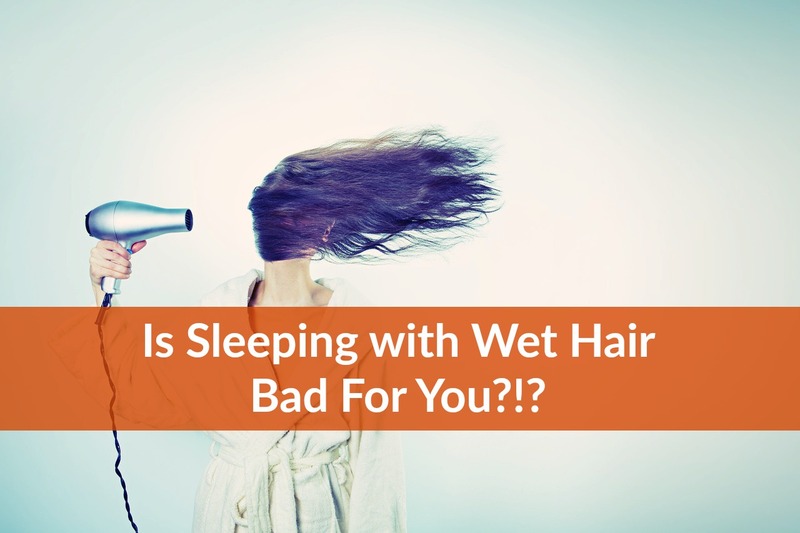 Home » Blog » Is Sleeping With Wet Hair Bad For You?!? The myths that connect water, temperature and health date back to the late 1700s . Still, it seems that old wives’ tales, such the dangers of sleeping with your hair wet, are hard to die off. Still, advising against going to bed with wet hair may be a good call, after all. While there may not be a scientifically substantiated reason against it, the real consequences of sleeping with wet hair are the nuisances that come as a result of the practice. Here are some of the most annoying situations. The significance of this fact is that going to bed with wet hair is likely going to drop your body temperature to a point that you will not sleep comfortably. Once the body starts cooling down, so will your limbs, hands and feet. Try to keep your body in a temperate environment as much as possible, especially at night time. This is the belief that wrapping yourself up and heating your body to sweat will overcome a fever. Nothing can be further from the truth. The first advice the article gives is to keep your head and body cool at all times and to drop your body temperature as quickly as possible. Keeping wet hair during sleep may be a good solution here. » First, it shows the importance of keeping the head protected to avoid drastic changes in body temperature. » Second, it warns us to be aware of our body temperature, especially during illness, and get protection for the head when needed. In other words, keep your head at the same temperature that you want your body to remain. If you suffer from dandruff or dry scalp you may already know what a problem it is to get rid of those pesky white flakes flying out of your head. When your hair dries unevenly, and there are wet and dry patches all over your head, your scalp becomes even more irritated and sensitive to changes. This may cause the problems with hair residue to become worse. 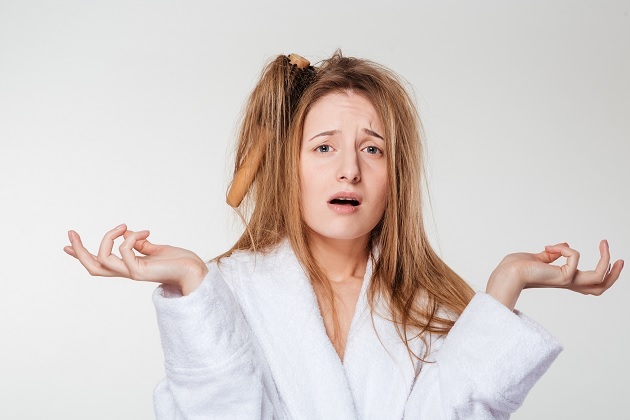 Moreover, if your hair had been flaking all over your bed and pillow for an extended period of time, you will only be making it worse by going to bed with wet hair. The flakes that are already on the surface of the bed will stick to the wet hair fibers and make it even worse for you. What may happen is that you will end up brushing your hair more the next day trying to get the new flakes off. This will only worsen a bad situation, as you will risk altering your naturally occurring dandruff or sensitive dry scalp even more. When you live in an unkempt and dirty environment with not much sanitation, water may actually act as a dirt magnet. According to Amerisleep, clean beds propel good sleep. When a bed is dirty, however, sleeping on wet hair will attract even more dust and dirt, working almost like a magnet for those particles left in the sheets and mattress. If you must sleep with wet hair in an environment like that, at least get your hair toweled dry and protected from further possible sleeping critters. Your head hurts a lot when you sip a frozen drink really fast through a straw. This head freeze can also happen as a result of extreme exposure to cold temperatures in the environment. When you are asleep, you are unable to control your protection against the cold, and you continue to sleep while your body temperature continues to drop. These extreme changes in temperature are dangerous, and can lead to other issues. A headache, however, will surely be the first negative symptom of sleeping with wet hair. Someone who finds it ok to go to bed with wet hair is probably too exhausted to dry it up completely, and this is why going to sleep with wet hair begins in the first place. The problem with not taking the extra minutes to dry up your hair is that, chances are, your body will not be comfortable enough to achieve deep sleep under those circumstances. All of these are obstacles in achieving a good night’s rest. Just take some time to towel dry your hair as best as possible, and go to sleep when the hair fibers no longer feel moist to the touch. Just a bit of moisture should be just fine. Aside from the physical nuisances that result from going to sleep with wet hair, think about the one you will detest the most: bad hair. Depending on the texture of your hair, the drastic changes of cold, warm, wet, and dry can run havoc to your mane, especially if your hair is brittle and porous. When it is, the water and oxygen particles basically battle it out to see which one will rule that hair fiber supreme. You will likely wake up with hair volume that you cannot control due to the moist and coldness that will weigh hair down altogether. You may even end up with a free perm of curls that you would have been able to control in a normal day. The worst part may be turning your everyday “do” into something new and adventurous that you are not in the mood to try, especially after a bad night. Be extra careful if your hair is thick and course. Wetness will increase this coarseness even more, and you may end up with knots and nods. There is no time for that in the mornings, especially on a work day. Again, just take the few extra minutes that it may take to towel-dry and avoid unwanted consequences. A bed head day is different than a typical bad hair day. A bad hair day entails that your hair looks wild and out of control and it needs to be combed completely. A bed head is when your hair acquires the shape or form of the last place where you laid your face to rest as it was becoming air-dried during your sleep. It could look like a raised edge on the left side of your mane that refuses to come down. Even worst, it could look like a totally false bald spot that occurs as a result of lying flat with half your hair underneath your head, and the other half out on the pillow. A bed head is harder to fix because it may have hardened throughout the night, the way papier machie hardens up when you let it out to dry after making piñatas. Don’t go “piñata” on your hair. The nuisances of sleeping on wet hair are numerous. While it is recommended to keep a cool and even wet head during times of illness, in order to control high fevers, try to avoid this during times of normalcy. » When in doubt, keep a hair iron nearby and heat it up as early as you get up in the morning. You will need it.